Construction of M-1 Rail, Detroit's highest profile infrastructure project in decades, is in full swing. The nonprofit managing the construction of the 3.3-mile streetcar line claims that the project will provide "a major economic boost of more than $3 billion in development and 10,000 new housing units over the next 10 years for the Woodward corridor." In the short term, however, businesses must deal with the hard facts of construction, which include the loss of street parking along many stretches of Woodward and complete street closures along others. Earlier this month, in order to better understand the mood of small business owners and people affected by the construction of M-1, which is scheduled to be completed by the end of 2016, we walked the length of the streetcar route and talked to people about the development boom happening in downtown and Midtown Detroit. The opinions they voiced were varied. For some, now is a time of great optimism, while others are struggling mightily with the realities of construction. A crowd of people waits on the inbound bus at Woodward and Milwaukee. 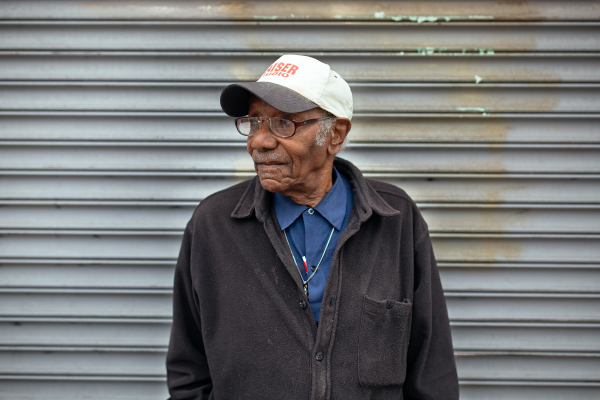 Kiser, a 92-year-old navy veteran who lives near Rosa Parks and West Grand Boulevard, stands among them. He uses the bus to get to the VA Hospital in Midtown, though he's not particular about his method of transit. "I'll use the quickest one," he says. "If the train gets there quicker, I'll take the train." 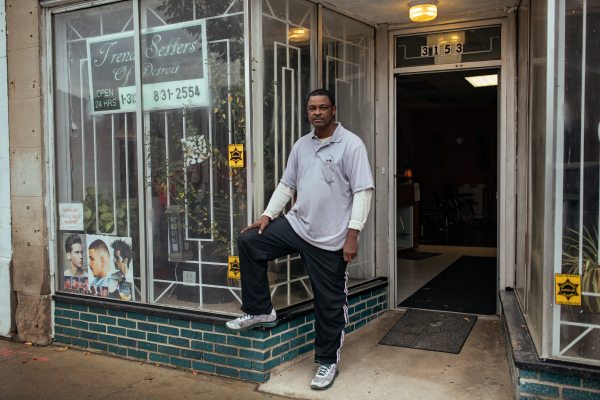 Greg Parks, 54, owns Layers Beauty Bar Salon and Spa at Woodward and Milwaukee, a business he opened just 5 months ago. 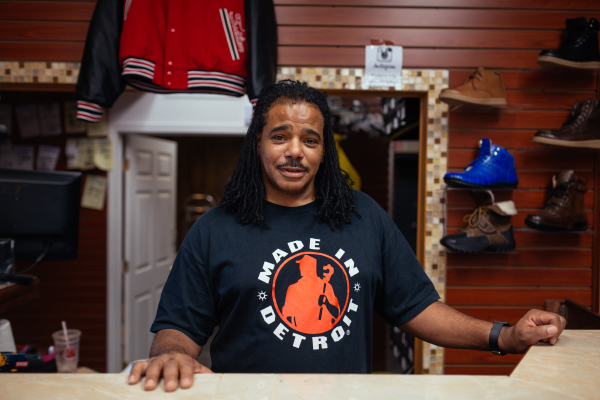 Born and raised in Detroit, Greg now lives in Canton, though he was excited to open his new business in Midtown. "This area is very vibrant and always getting better," says Parks. "I just wanted to be a part of that. This is the most vibrant place in the city right now. You can't get no better. I don't know of anywhere else where they have beat cops." When asked how he'll use the train, Parks replies, "I'll take it downtown, hang out for a while, then come back." Parks has been in the salon business since 1985. "I'm an icon," he tells us. "Isn't that right, babe?" he says into his phone (he was talking to someone when we approached him). After a pause, Greg starts laughing. "She says I'm a relic!" he tells us. 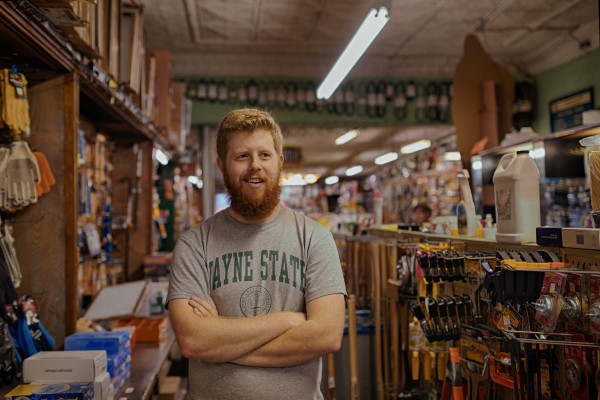 Dave Rose has worked at the 90-year-old Detroit Hardware Company on Woodward on and off for the last five years. He recently graduated from Wayne State University where he majored in urban studies. "I took a little time off from the hardware to work for Quicken Loans," he says. "I didn't like working 15 hours a day, so I came back here." Rose is optimistic about the rail line. "It's been a long time coming. Being an urban studies major, I've looked into it. It will be good for local businesses and property values are going to rise. That being said, I don't think it's enough. They need to go further with it." Underneath the railroad bridge just south of Baltimore on Woodward, Xavier, a 25-year-old who rides the bus every day is indignant when asked if he is excited for the streetcar. "Hell no!" he says. "How will it help us, the community? 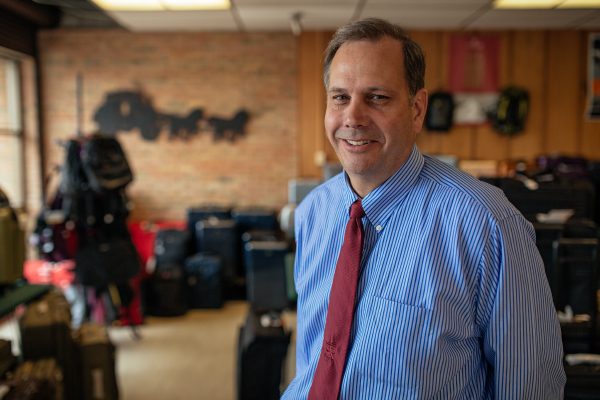 Ward Dietrich is the owner of the London Luggage Shop on Woodward at Antoinette, a business his father started when he returned home to Detroit after serving in World War II. The store's street parking on Woodward has been eliminated due to the work on the bridge where Woodward crosses I-94. "When you're older, it's hard to get excited because you've seen so many false starts," says Dietrich about M-1. "It seems ambitious, but a commitment like this seems like it will have meaning and people will follow the momentum. I've been trying to be optimistic to the naysayers for 20 years, so I'm anxious to see what happens." About the construction, Dietrich says, "We know we're going to have this obstacle for some time, but we know our customers won't let little hiccups get in their way." 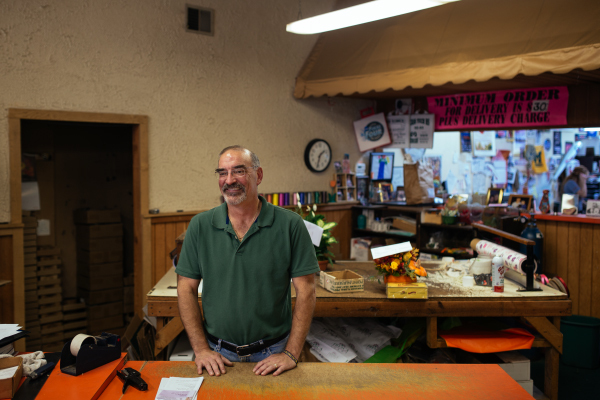 Lou Safou, owner of the Star of Woodward party store on Woodward at Kirby, has felt a significant impact on his business's bottom line because of M-1 Rail construction. "It's killing me," he says. "I'm down $30-35,000 per month in sales. They did nothing with signs -- no 'open during construction' signs. It's so poorly planned. How are we supposed to make our taxes and payroll?" 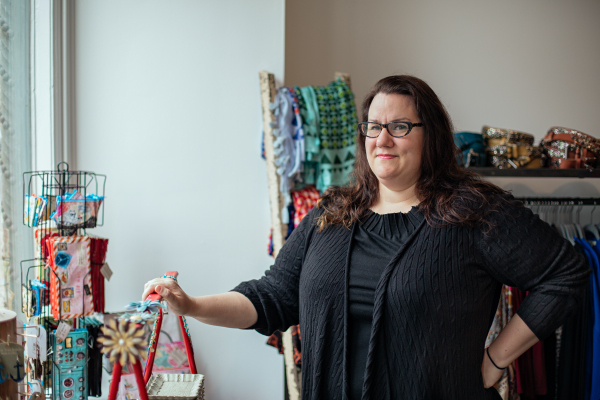 Rachel Lutz, owner of the Park Shelton's Peacock Room, a 3-year-old store featuring women's apparel and accessories, is on M-1 Rail's business advisory committee. She's opening a second store, Frida, on Oct.r 24 on the Woodward side of the Park Shelton. Lutz has mixed feelings about the construction of M-1. "M-DOT gave us no notice that parking on Woodward would be taken away as a part of the reconstruction of the bridge over I-94," she says. "What people don't realize is it's not just about putting rails in the ground. It's underground utility work and updating other infrastructure, too. The construction itself might not be the real problem. It's the perception of the construction. People hear that Woodward is closed downtown and they stay away, even though the street's only closed in small sections." Lutz praised neighborhood economic development group Midtown Detroit Inc. for its efforts to assist local businesses affected by construction. "Midtown Detroit Inc. has tried to be as proactive as possible to help us survive the construction. They've recognized that we -- local businesses -- are the reason why people decided that our area is ideal for M-1." Ultimately, despite the challenges posed to local businesses throughout the three years of construction, Lutz is optimistic about the long-term prospects of the streetcar. 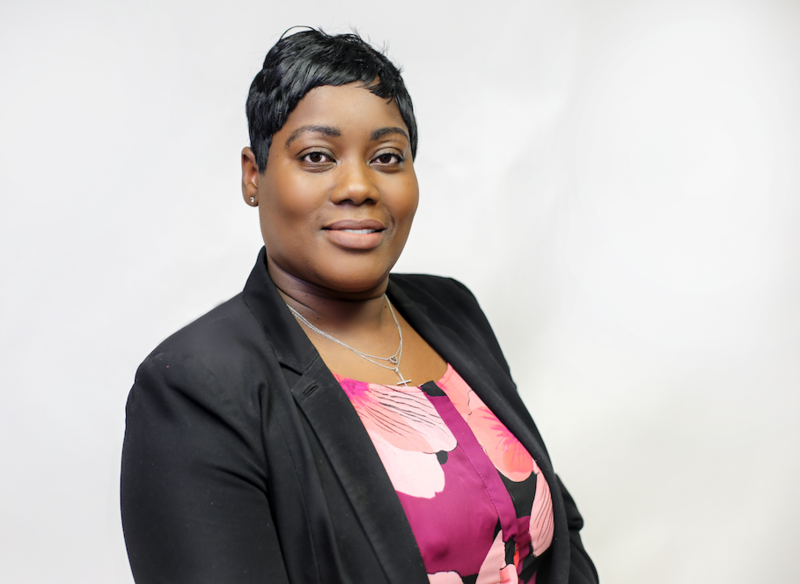 "I think M-1 will be a tremendous asset and will spur permanent investment," she says. "Do I think it will be a mass transit solution? No. But it will be a neighborhood transit solution and an incredible asset for the greater downtown area." 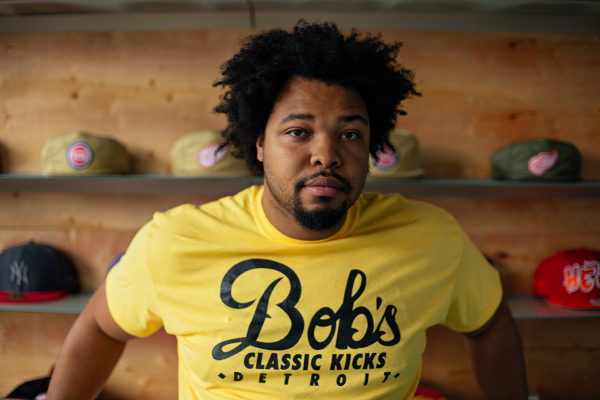 Christian Dorsey, 32, is co-owner of Bob's Classic Kicks, a hip sneaker shop located on Woodward at Forest that's currently undergoing interior renovations, though it remains open for business. He's ambivalent about the construction of the M-1 streetcar line. "I can't really tell if construction is or isn't affecting us, " he says. "We cater to a lot of Wayne State students who are walking and we've got a parking lot out back." In the long term, Dorsey's optimistic about the streetcar and other major developments in the area. "I can't wait for it to be finished -- it and the stadium," he says referring to the new hockey arena/entertainment center that is planned for the Lower Cass Corridor. "It'll bring a lot of traffic." This Halloween, Bob's Classic Kicks will celebrate it's 10th anniversary. Kimberly, a resident of Midtown, has worked for years at Grace Harper Florist on Woodward between Willis and Alexandrine. "I catch the bus to work," says Kimberly. "Right now, the bus is kind of messed up because of construction. I don't drive, so I'm not too affected by that." John Kewish has owned Grace Harper Florist for the last 25 years. He bought the business, which opened in 1918, after starting there as a delivery driver. "We're going to use the train to make downtown deliveries," says Kewish. "Right now we have two drivers making the rounds downtown. We'll buy monthly passes. It'll be cheaper than getting $45 parking tickets." John Kewish has owned Grace Harper Florist on Woodward for the last 25 years. The business was founded in 1918. 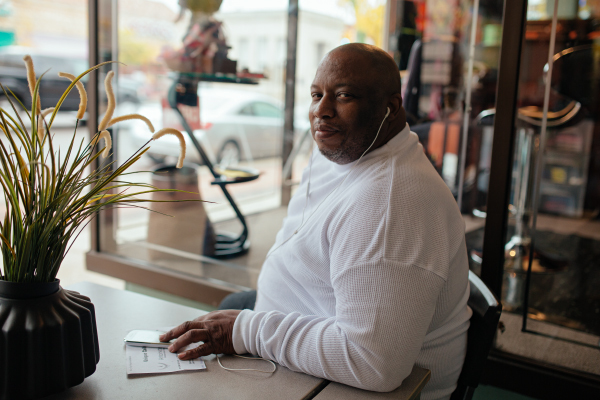 Kewish is bullish about the prospects of his business's neighborhood. "This area, the Cass Corridor, has changed 100 percent since I bought this place, though it's still got a long way to go." Despite being located in the heart of the M-1 construction zone, business has been steady at Grace Harper. 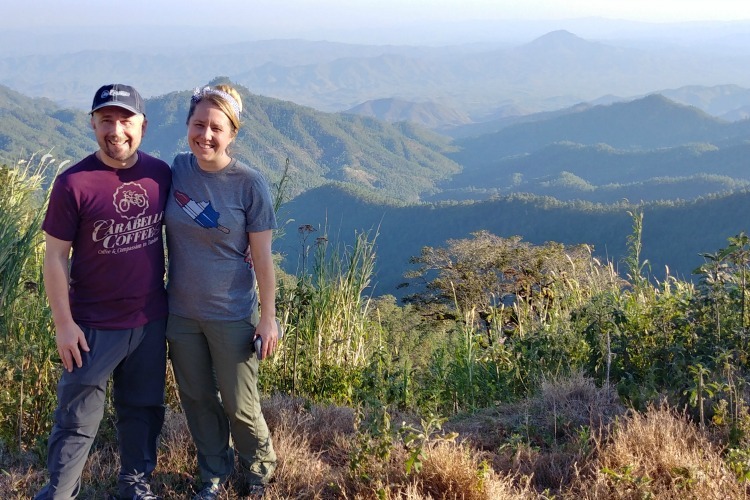 "We haven't been too badly affected by the construction," says Kewish. "Most of our business is done over the phone and internet and isn't a result of walk-in traffic." "Quicken Loans has been keeping us busy. We make probably five deliveries a day to Dan Gilbert's buildings." Andre Walker has owned The Source boutique for the last 25 years. "The construction makes parking even worse than it was before," he says. 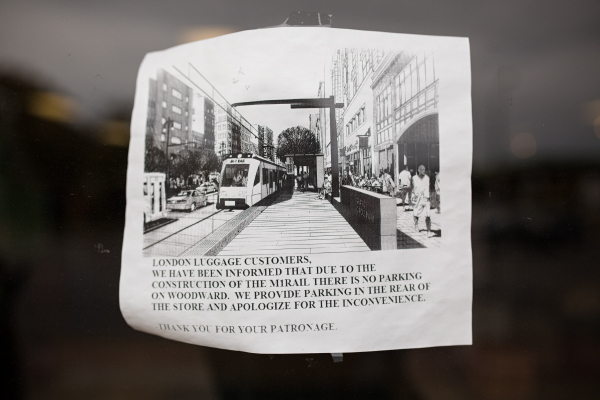 "They're giving parking tickets to customers, and once they get a ticket, they won't come back." "We get customers from all over -- the suburbs, Saginaw, and Pontiac. We're a destination store. That's why we're by appointment only." Walker is not thrilled about the rail. "Me personally, I hate it," he says. "The notion that just bringing the train is going to help us is just not true. The parking's bad now, and it's just gonna get worse." 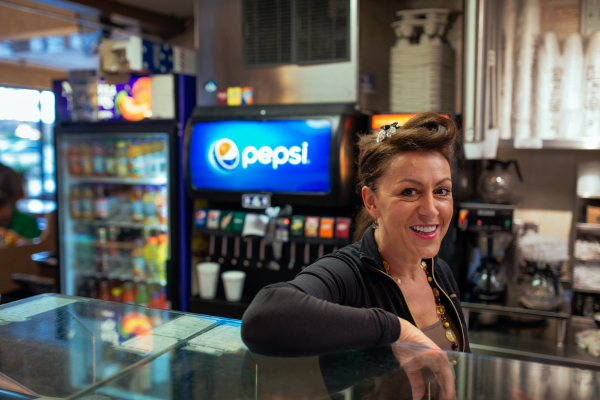 Mirela Deda is a manager at Detroit One Coney Island on Woodward at Peterboro. She's worked there for six years. On the construction of the rail, Deda is positive. "We're excited," she says. "It's going to get better around here, but for now it's tough. It's been slower since construction -- not too seriously, but yeah, it has." As we talk, a customer asks Deda to wrap up his food while he runs out to check on his car. "I don't want to get a ticket again," he says. "You know they're $45 now." Zane, a barber with 27 years of experience, started cutting hair five months ago at Trend Setters of Detroit, a 24-hour barber/beauty shop on Woodward just south of Peterboro. He works security at Ford Field on Sundays during Lions games. 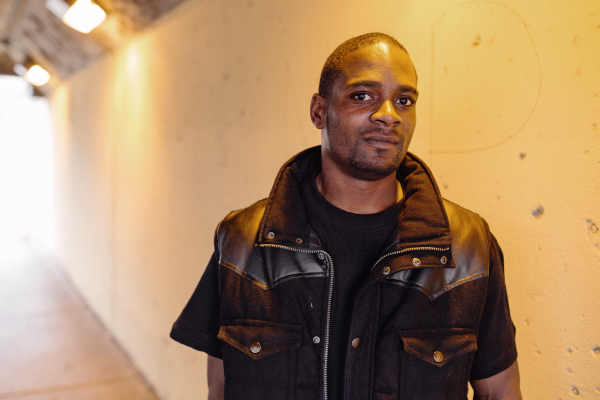 "I was working in a barbershop out in the neighborhood, but I got tired of the nonsense I was running into out there and I wanted to change locations," says Zane. Zane isn't worried about construction and is excited to see the streetcar up and running. "It's cool. My customers know to come through the back. We have parking back there. I live down the street and I walk to work. I'll take the train when it's finished." Anthony Rone is general manager of the soon-to-open Addison Eatery, a restaurant located on Woodward at Charlotte. On construction Rone says, "It's tough to navigate Woodward, but we feel our guests will be able to find us." Once it is complete, Rone thinks the rail will be great for business. "It's going to connect downtown and Midtown -- and we're at a nice stop in between. We're excited." 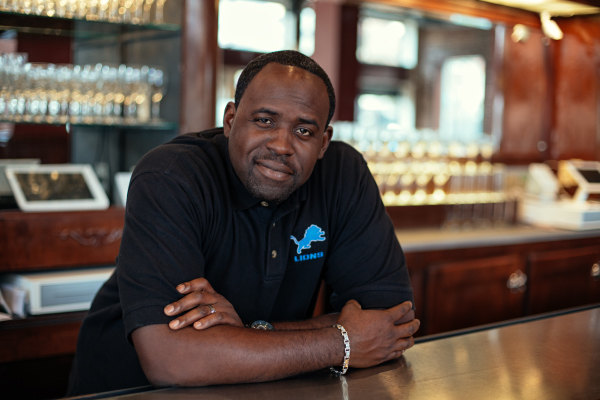 Maurice Wiggins, is the owner of the Addison Eatery and a veteran Detroit restaurateur. He's dismissive of the challenges posed by construction. "It's not a major problem," says Wiggins. "Construction is a sign of progress. There's no need to harp about it. We should embrace it." Mitch Wozniak is a skilled tradesman who has worked on underground electrical projects for both the city of Detroit and private companies for the last 19 years. On working on new types of projects like M-1 and the new Red Wings arena, Mitch says, "It's beautiful. We do work all over the city." 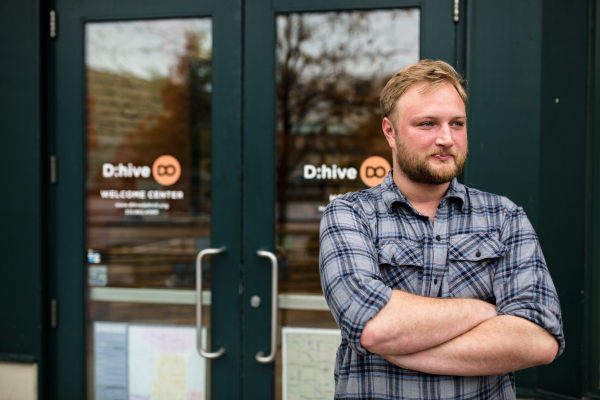 Philip Laurie, creative director of Detroit Lives!, a boutique creative agency based downtown, has followed the progress of M-1 since construction began in July. "It's given me something to watch every day on my walk to work," says Laurie. Max Witzky, a clerk at downtown's Moosejaw outfitters, hasn't scene a drop in business at all. "It hasn't been bad for us," he says. "Most of our traffic is foot traffic. We're up 20 percent this year." 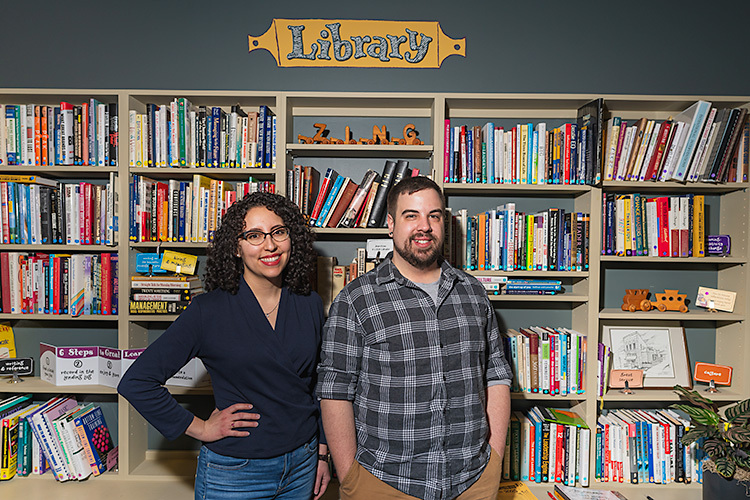 Jon Chezick of Detroit Experience Factory, a company that connects residents and visitors to Detroit with authentic experiences in the city, has noticed a difference in activity downtown. 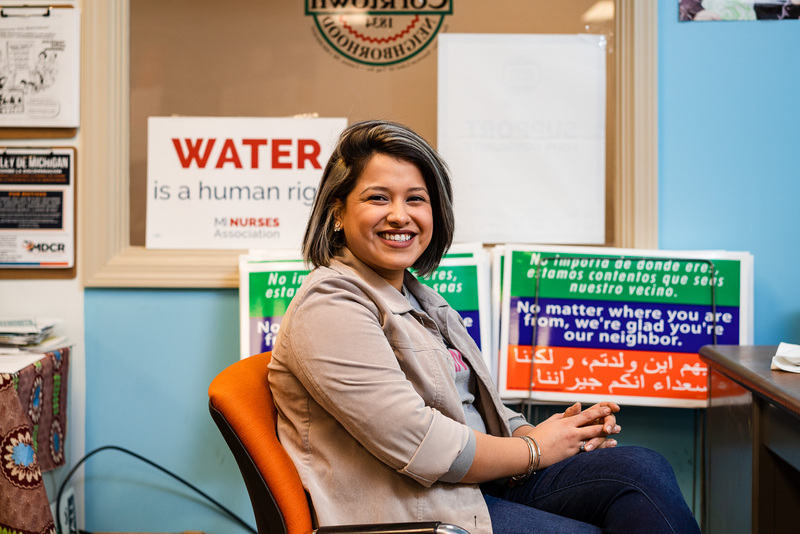 "Our walk-in numbers seem to be down," says Chezick, "but we're hopeful M-1 will pay off in the long run with increased traffic." "It's awesome seeing the process and interacting with construction workers," he adds. "They're really open about explaining what they're working on. A lot of them weren't all that familiar with downtown, so it's cool that they're getting introduced." As M-1 Rail construction progresses over the next two years, Model D will continue to follow the ways in which residents and local businesses are affected. Matthew Lewis is Model D's managing editor. Follow him on Twitter @matthewjlew.